Scan and Pay using a QR code? Of course you can. 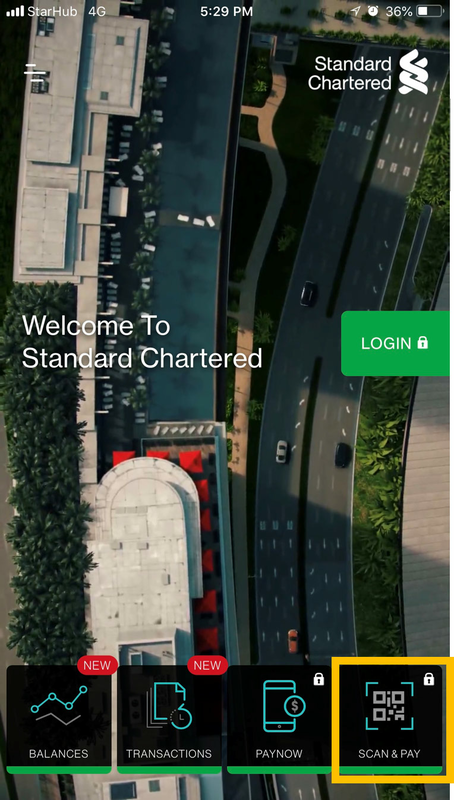 You can now transfer funds or make payments on your purchases seamlessly by simply scanning a QR code using the Standard Chartered Mobile Banking app. Use Scan & Pay on the app today. How to make payment using QR code? Tap on Scan & Pay and login with your username and password. Scan the relevant QR Code. Input amount and description of payment and confirm transfer. You would receive a notification of your successful transaction! 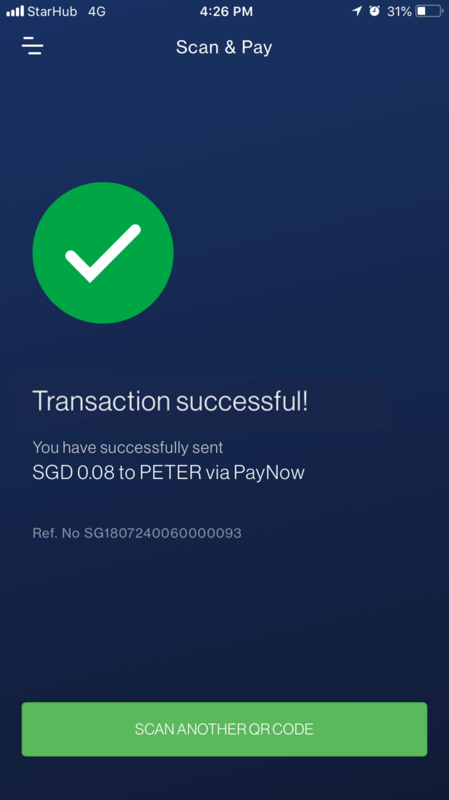 PayNow is a new service that enables customers of participating banks to send and receive funds almost instantly from one account to another, within the same bank or to other banks using just their mobile number, Singapore National Registration Identification Card number (“NRIC”) or to a Unique Entity Number (UEN) issued by the Singapore government to corporate entities. PayNow QR is a unique two-dimensional barcode that may be generated by a participating bank for users who are registered with PayNow. The registered users can receive funds using the PayNow service when other customers scan their QR codes. How can I access the PayNow QR service? You can scan PayNow QR codes using Scan & Pay feature on our Standard Chartered Mobile Banking app. Do I need to add a payee before making a transfer via Scan & Pay or can I perform ad-hoc transfers? Is there a transfer limit? With Scan & Pay, PayNow QR service, you can make a one-time transfer by scanning the recipient’s PayNow QR code. You do not need to add the recipient as a payee. The total daily limit of all your one-time PayNow transfers and PayNow QR payments is SGD 1,000. Will I be charged any fees for using PayNow or PayNow QR service? At present, the bank is not charging any fees for customers using PayNow or PayNow QR. If the bank intends to charge any fees, advance notice will be given to customers. Can I use PayNow to transfer funds to a foreign currency account? No. 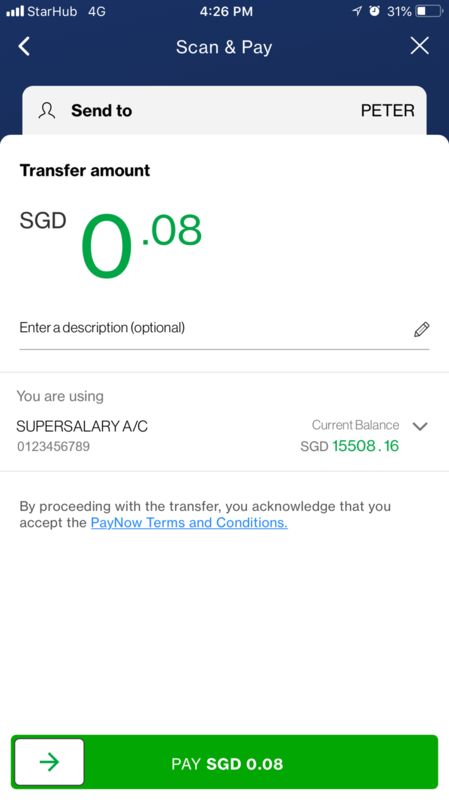 PayNow can only be used for Singapore Dollar funds transfers between the PayNow participating banks. Can I scan QR codes belonging to other schemes and providers (e.g. Visa, Mastercard, Grabpay etc.) using Scan & Pay? No. At present, Scan & Pay can only be used for scanning PayNow QR codes.